Another milestone is ticked off! 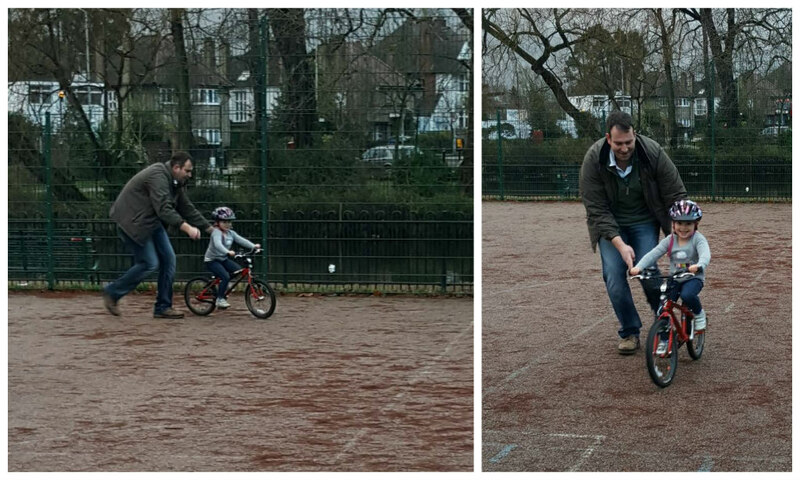 Sophie has mastered the pedal bike at last! While Sophie is generally really confident physically, and happy to climb trees, somersault in the pool and scoot like a maniac, she’s never shown much interest in cycling. But over the last couple of weeks, she’s suddenly taken her balance bike more seriously and expressed a desire to ride like her big brother. 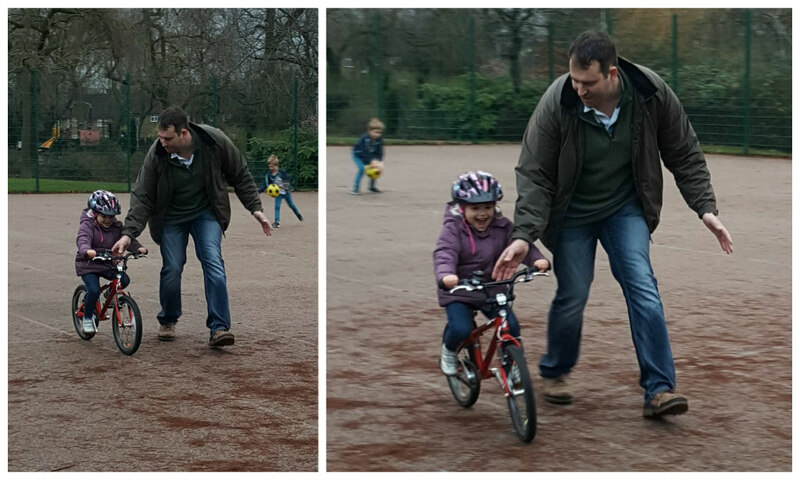 So a couple of trips down to our local park later, she suddenly mastered cycling! It took us a bit by surprise how quickly she took to it – but thankfully I managed to capture a few snaps of the break through afternoon! Poor Matt did so many laps hunched over ready to catch her – I suspect his back was pretty sore on Sunday evening! But she didn’t fall off once. 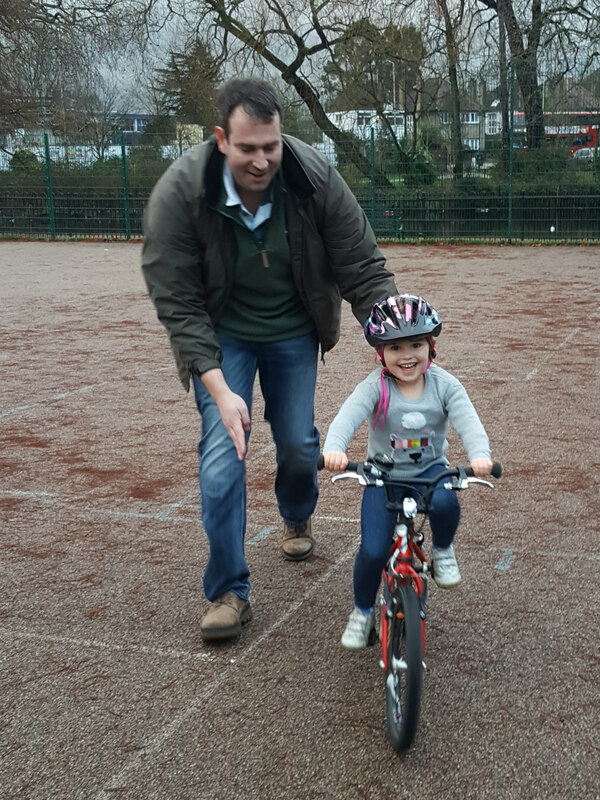 She also didn’t attempt to brake once, so we’ve still got some teaching to do before she’ll be ready for family bike rides! Look at this proud face! Go Sophie!